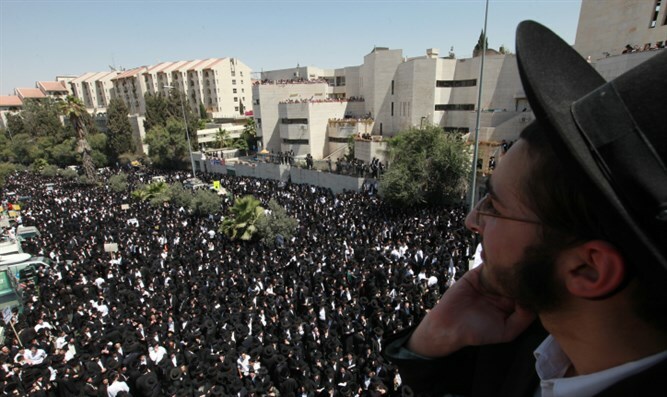 A young haredi man sued Israel Police in court, after a cop shot him with a taser - twice. The courts have ordered Israel Police to compensate a haredi youth with 106,000 shekels ($27,972) for shooting him with a taser gun. Around five years ago, the plaintiff was driving with his friends in Bnei Brak, when they spotted policemen detaining their friends. The group stopped on the side of the road, and approached to photograph the police. The policemen indicated that the photography was against the law, and proceeded to arrest the youths. After one of the policemen neutralized the photographer and handcuffed him, the plaintiff took the camera and kept photographing from two meters away. A few moments later, the policeman warned the young man that he was being arrested, and shot him in the arm with a taser gun. As the haredi man hit the ground, the policeman shot him a second time with the taser gun. Though the plaintiff was injured, policemen on the scene refused to call an ambulance. Only after he was taken to the Ramat Gan police station was the plaintiff transferred to the hospital for treatment. The man complained to the Police Investigation Division (PID), but the case against the policeman was closed. The plaintiff then sought the assistance of Attorney Itamar Ben Gvir, who sued for damages against the policeman and Israel Police. A settlement agreement signed by both parties mandates Israel Police pay the injured man 106,000 shekels in compensation for his mistreatment. Attorney Ben Gvir hopes that this ruling will be a landmark for policemen who use tasers. "The time has come for the police to understand that a taser is not a children's game, and that its use should be limited to very exceptional cases. He who uses a taser without cause will spend time in court."